1. bandwidth of 25 Mbps and a latency of 125ms. 2. bandwidth of 27 Mbps and latency of 80ms. I added a speed limit with value 25000000 and set a fixed latency of 60ms. 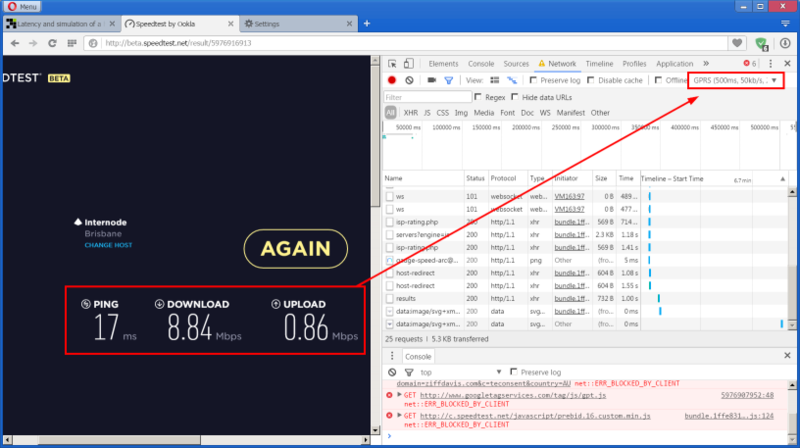 After that when I run a download test to check the bandwidth, I just get around 6 Mbps and latency 80ms. I also tried many other combinations by changing the speed limit. However I could never achieve 25 Mbps. I could get it only when I disabled the latency. Can you please let me know how to go about. Is there any limitation that with a trial license it is not possible to achieve this? It sounds about right as latency directly affects TCP throughput. Please see this article. The article "How to calculate TCP throughput for long distance links" provides a few formulas and mentions similar numbers. Even in the documents that you have pointed, we see that TCP increases the window size when it receives the acknowledgement of the packets that reached the destination. So could you please let us know how to simulate this using softperfect. Basically you need to check whether both hosts exchange the Window Scale option in their SYN packets. If they don't, the means the maximum TCP window size will be 64K, which will result in the reduced transmission speed. As to Chrome, its throttling mechanism appears to be flawed, e.g. they attempt to simulate latency and bandwidth limits at the application layer, where it should have been done at the packet level. There is also a long-standing bug where these settings have no effect on web-sockets.